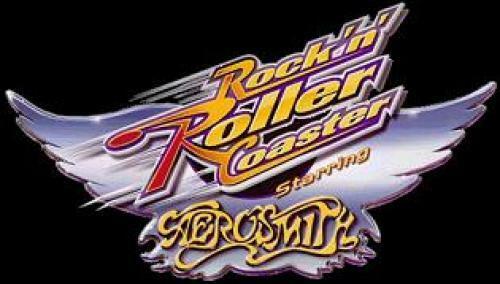 Disney launched its record breaking LIM launched roller coaster, Rock N' Roller Coaster, in 1999. Since then, many people from all over the country have flocked to ride this thriller. With an identical layout to Superman: the Rideat Six Flags Holland, this coaster is worth every mile you drive to Florida. Rock N' Roller Coaster first blasts 56mph in 2.8 seconds, with three mind-boggling inversions - a double-inverting sidewinder and a corkscrew, along with other curves and turns that send riders reaching for the ground in this 2.5-minute ride. Unlike the traditional lift hill to start the speed, Rock N' Roller Coaster has an LIM launched propelling device that has evolved into faster speeds with quicker acceleration times, such as Top Thrill Dragster at Cedar Point, Sandusky Ohio. The plus about this ride is that you can run back and forth between Rock N' Roller Coaster and Tower Of Terror, a truly "laugh-out-loud" free-fall experience that will send you begging for more. One of the many things that make this ride superb is not just the ride, but the scenery-filled queue line and story idea that comes with it. Inside the building, you get a special invitation to join Aerosmith for a wild limo ride to see their long awaited concert. Riders boarding the train, and blast off down the LIM-driven launch and immediately speed up into the sea serpent loop combo, flipping over with a half vertical loop, two half-corkscrew-type inversions, and then a final half-loop. The train full of passengers speeds up into a steep curve turning the course around and swooping down towards water below. Climbing again and continuing to curve to the right, Rock 'N' Roller Coaster enters a brief straightaway and then dive back down to curve in the opposite direction. After a 180-degree curve, thrillseekers enter Rock 'N' Roller Coaster's third inversion, the corkscrew, and through 450 degrees of rightwards curvature encircling the corkscrew. After another brief straightaway, the track dives in a left-handed banked curve and then curve around, completing several hops en route to the final brake run. At the end of the 'limo ride', you are stopped at the 'red carpet' and lead into the amazing gift shop, where you can buy pretty much everything that has to do with music. To enjoy a one-of-a-kind coaster, Rock N' Roller Coaster is definitely the ride for you!! !